As you can see below, the manuscript varies significantly from the final lyrics, and includes several notes in the margins. 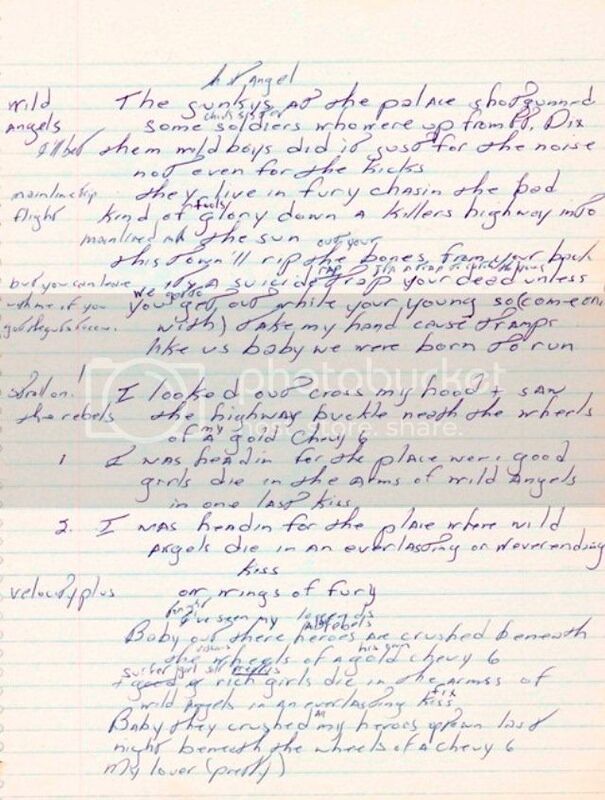 On December 5th the legendary New York auction house Sotheby's is auctioning a piece of classic rock history; Bruce Springsteen's handwritten lyrics for 'Born To Run' are heading to auction and are expected to fetch between $70,000 - $100,000 (approximately £42,000 - £60,000). As you can see below, the manuscript varies significantly from the final lyrics, and includes several notes in the margins. In other Sotheby's related news, one of the 11 remaining copies of the first book ever written and printed in the United States recently sold for $14.2 million. Woah.